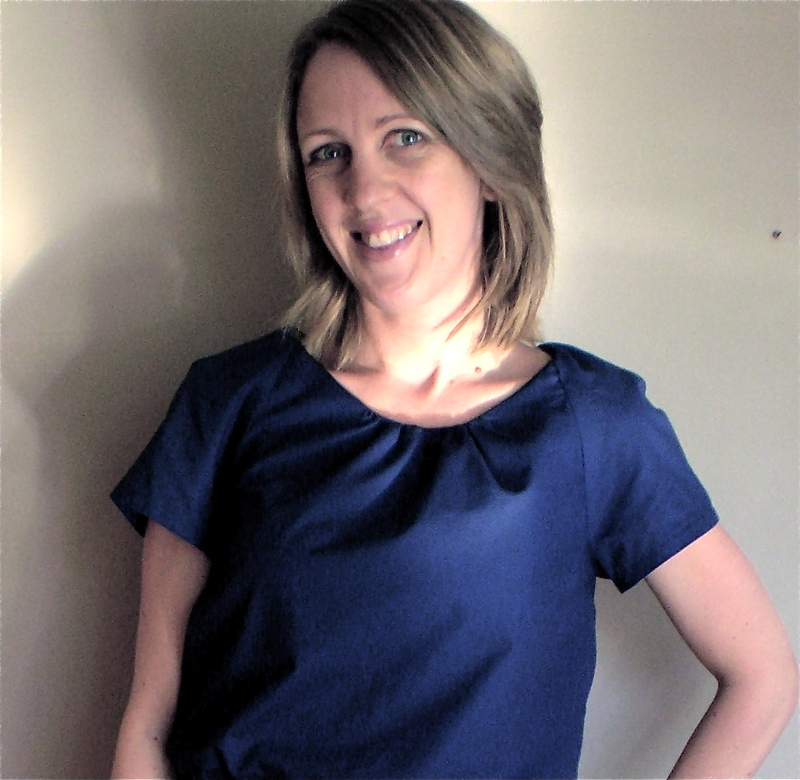 I’m a mum, wife and freelance writer living in New Zealand. I also have a compulsion to sew. As a youngster, I started with cross-stitch, which soon gave way to clothing once I discovered sewing patterns and the freedom to ‘make it up as you go’. After that, it was a whirlwind of attempts/failures/successes as I mashed my way through a steep learning curve with all kinds of fabrics. I actually made wearable clothes in my late teens (note: wearable doesn’t necessarily mean fabulous), then things ramped up when my first kid was born. I went on a sewing bender like never before and I’m still going! There was a solid phase of refashioning in there too, which I still like to go back to occasionally. I love that challenge of having design restrictions and often the garment will have a strong voice through out that process. Of course, non-sewing people tend to glaze over in the eyeballs when you gush over a satisfying zip insertion or your first welt pocket. No judgements here. I glaze over when Hubby talks about computer ports, so I get it. That’s when I launched Offsquare. It gave me a place to rave about those zips to others who also enjoy said zips without inflicting pain on the less-enthused. And that’s where we are now! In November 2015, I was lucky enough to join the team at Papercut Patterns. It turns out that a love for writing and sewing can miraculously combine into a dream job. Who knew! I still pinch myself everyday. It also means I have access to all their jaw-dropping patterns. I’m like a kid in a candy-store there. But don’t worry, Offsquare is still mine. I’m not paid to blog about those patterns here and I share them along with all my other makes because that’s what this blog is all about. I love each one of our independent designers who spend countless hours creating these patterns to feed our sewing habits. To each one of you, thank you. I know it can’t be easy sometimes, but I am grateful. You rock. … a general purpose Brother PX300. It’s had a rough life, but was one of the first things I bought after leaving home. I’ve not once regretted that purchase. I also use an old Singer Featherweight (they do incredible top stitching) and a Globe M23a overlocker. … a Canon EOS 700D, using a tripod and remote shutter for blog photos. Any photos prior to 2016, though, were just with an iPhone. If you have (or want to have) a sewing/fashion blog, I highly recommend a remote shutter. It’s saved me so much frustration in running back and forth and they only cost a few dollars. Do it. Thanks for taking the time to read my blog and follow along. The sewing community is a phenomenal bunch, so don’t be a stranger!